Specify optional battery backup to help ensure that your guests always keep connected. All cordless phones require power to keep the radio alive that allows the base phone to work with the cordless handsets. In the event of a power outage cordless base units will typically function on standard line-power in speaker mode, however, for added convenience we offer a battery backup solution that keeps the radio alive, allowing the guest to use the phone in speaker mode or with any of the cordless handsets that are synchronized to the base. Specify our optional battery backup package on selected Cetis analog cordless hotel phones, designed to help keep your guests connected during power failures. Click here to request pricing, or contact your Cetis sales representative for details. 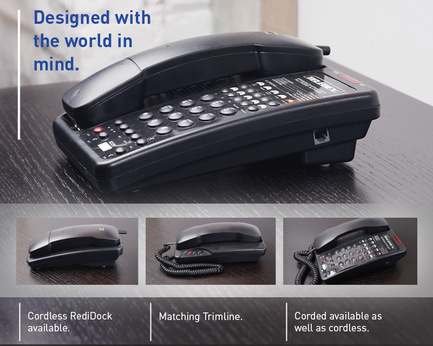 Opal Series Designed with the world in mind, choose Teledex Opal Series analog cordless hotel phones with optional battery backup, OneTouch voice mail retrieval, and AutoSync pairing of RediDock remote handsets with the base unit. 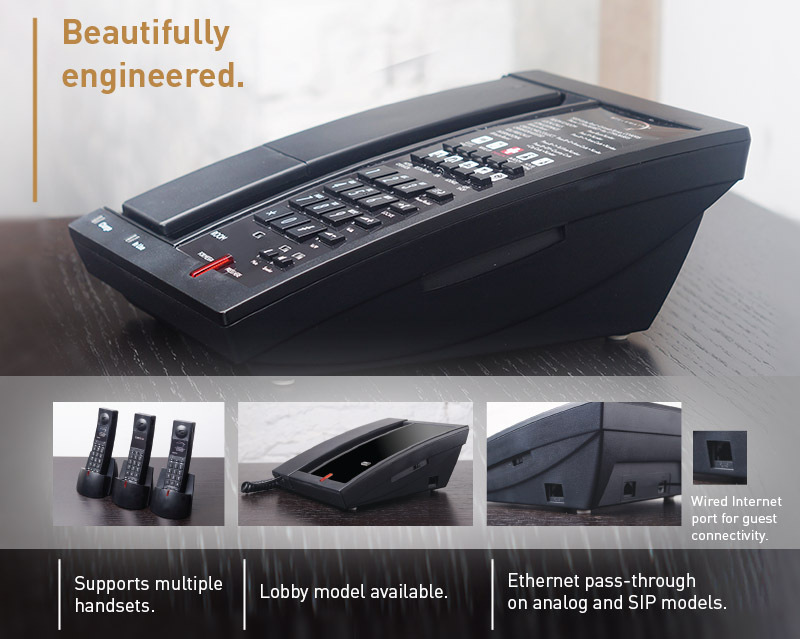 9600 Series Still the most popular cordless hotel phones in the world, 9600 Series has a proven record of rugged dependability, complemented by a rich feature set. Specify optional 9600 Series cordless battery backup and also receive AutoSync handset pairing, and OneTouch® message retrieval.